With this Home Decorators Collection Urich Vanity, you can easily design your restroom. 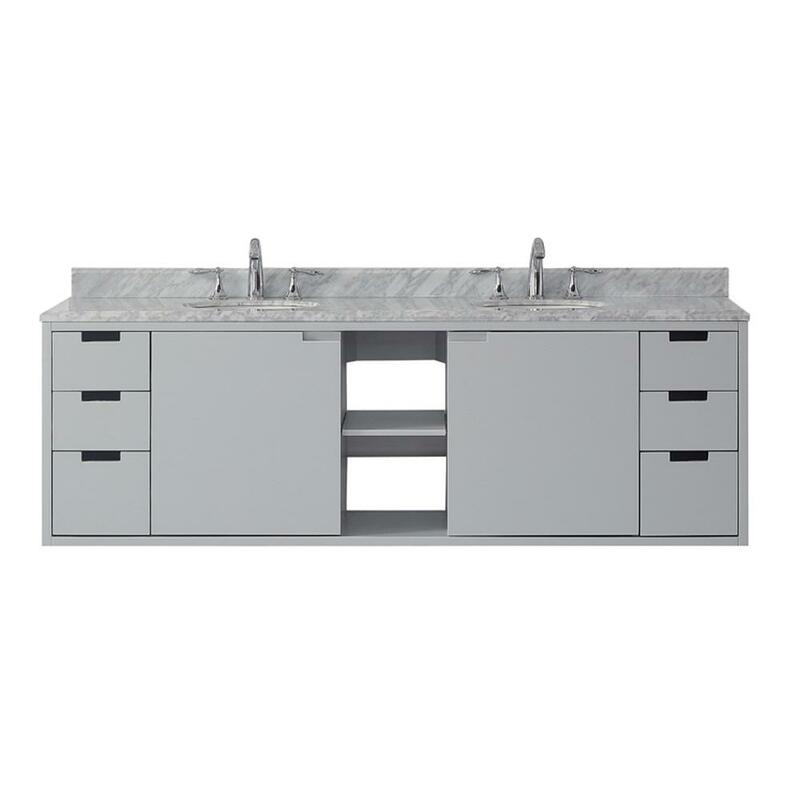 This vanity has a modern design, which provides a more minimalist feel that is ideal for smaller spaces. Built from wood, it adds an organic element to the space. It features a floating construction, making it easier to clean your restroom floors. 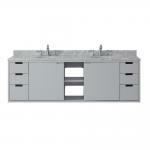 This vanity has oval undermount sinks, making it easier to wipe any water from the counter straight into the sink. Constructed out of white vitreous china, the sink is highly durable.